We carry a diverse selection of traditional Yoga beads and Tibetan prayer beads. These mala beads are imported directly from India and Nepal. 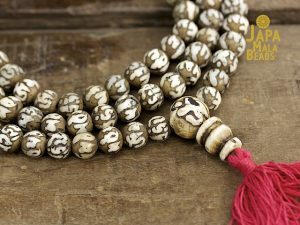 Many of these malas are made from the traditional and sacred materials of bone, wood, and seeds. 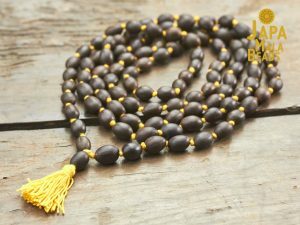 The most popular wood mala beads are made from sandalwood, lotus seed, rosewood, tusli, and ebony. 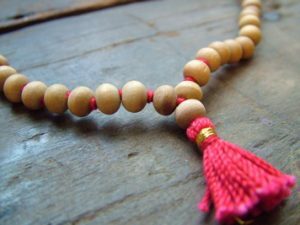 Wood mala beads are a great choice when you are looking for an inexpensive and lightweight mala to wear and use for japa meditation. We also sell hard to find Hindu prayer beads like the Haldi mala made from Turmeric and our Vaijanti mala made from Job’s Tears seeds. Our yoga mala necklaces from India contain knots between each bead while our yoga bracelets and Tibetan Buddhist malas from Nepal do not. 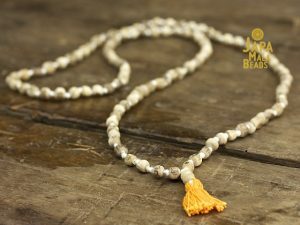 We strive towards sourcing only authentically made Yoga mala beads and Tibetan mala beads of the highest quality. 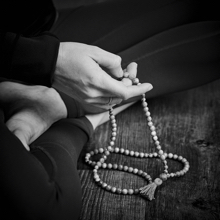 We have over 20 types of Yoga malas and Buddhist prayer beads available for purchase.